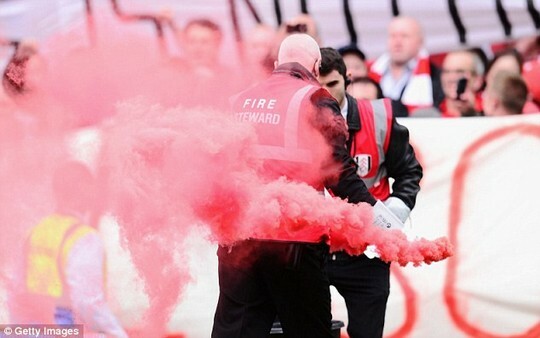 Not something you can see very often in England Premier League. 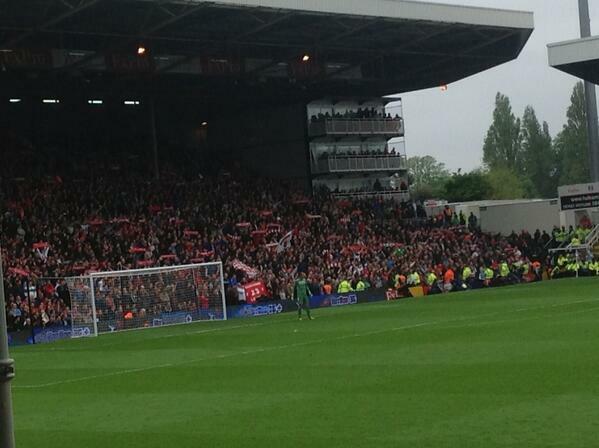 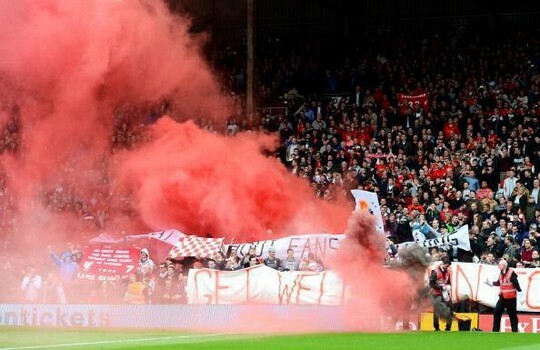 Liverpool fans raised banner "Football without fans is nothing" and threw smoke bombs on the pitch. 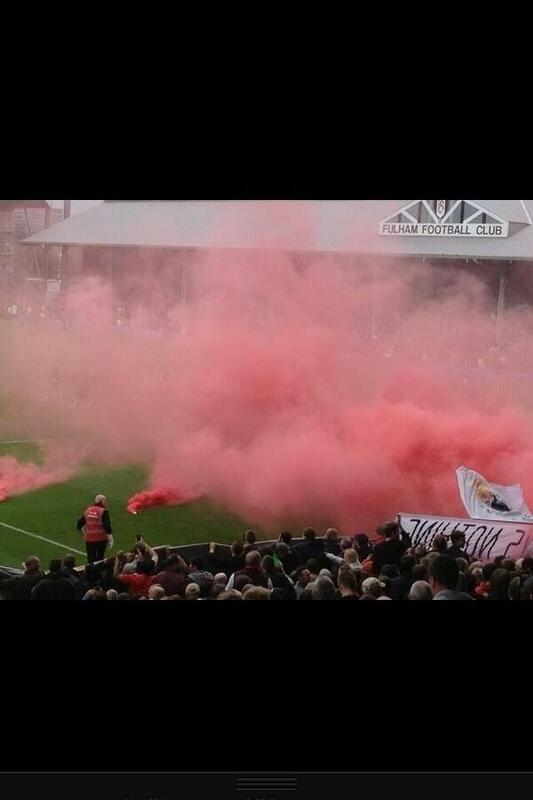 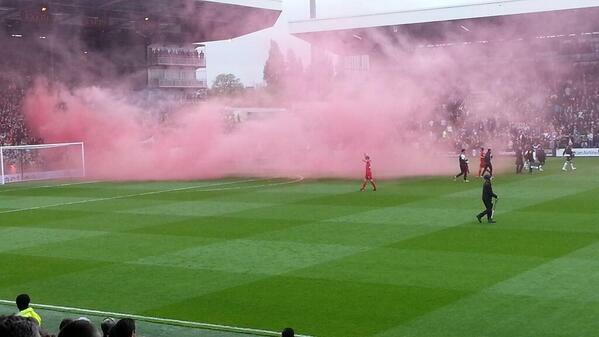 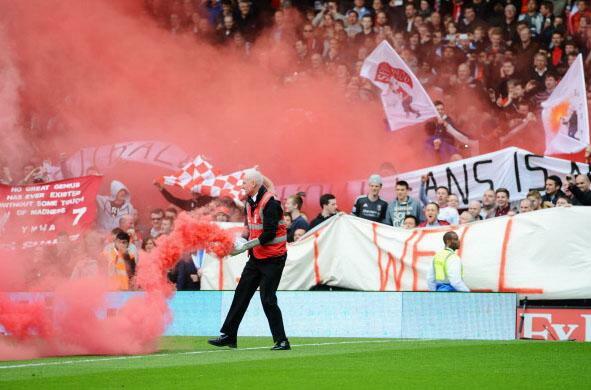 We are happy to see fans in England started to use pyro and fight against modern football.